The problem with making cookies for the holidays is that everyone has a different favorite. I can’t go through a holiday season without making jam thumbprints for my husband (his favorite) or brownies for my co-worker (her favorite) and so on and so forth. Every year I make 3 or 4 of the old favorites that without, whining would certainly commence. Then, I always try some new ones to be added to the rotation. And, before my designated “Christmas Baking Day” (yes, I actually take a day off of work to do it), I had to bake a bit early since our holiday parties seemed to span a 2-week time frame. So, when I saw this recipe on epicurious.com, I thought it sounded like the perfect missing puzzle piece to my cookie line-up. The original recipe comes from a booked called Very Merry Cookie Party by Virginia Van Vynckt and Barbara Grunes. 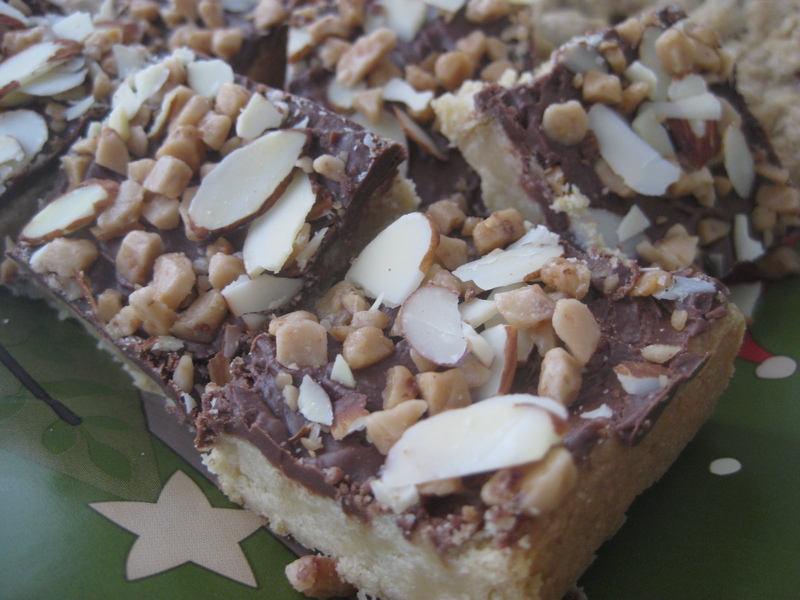 I made the recipe in the second way suggested – with the inclusion of toffee bits. I am actually a bit embarrassed to show how easy this recipe is, since only about 30 minutes total gives you an entire 9 x 13 of these sweet morsels. 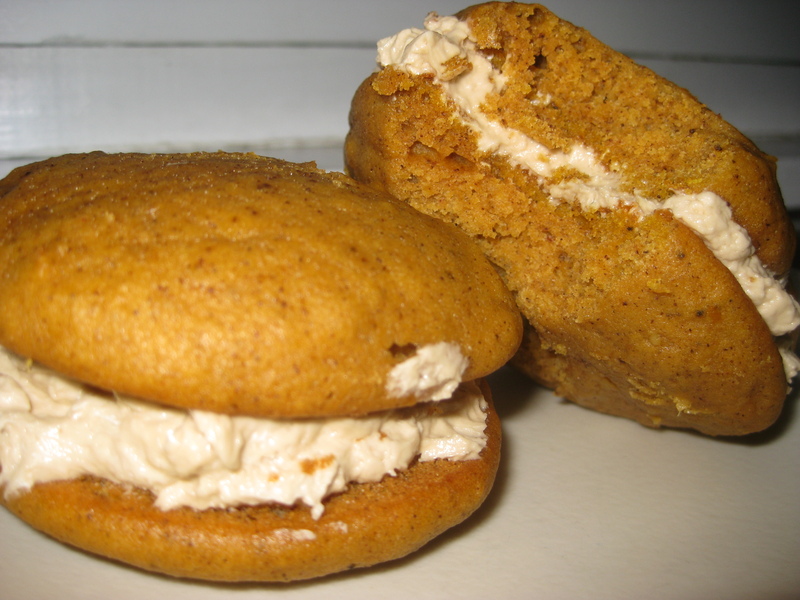 They are so good that only within about 4 days from my first batch, I will be making another for yet more holiday occasions. Thanks to Very Merry Cookie Party for this amazing recipe – and the newest member of my holiday cookie favorites. Remove the pan from the oven and scatter the chocolate pieces evenly over the crust. Return the pan to the oven for 1 minute. Remove the pan again and, using a knife, spread the chocolate evenly over the crust. Sprinkle evenly with the almonds. Let cool completely in the pan on a wire rack. Using a sharp knife, cut into small squares, then carefully remove from the pan with a small offset spatula or an icing spatula. Impromptu baking has become somewhat of a new hobby of mine. By impromptu, I don’t mean feeling the desire to bake an apple pie on a Saturday, going to the grocery store to get the necessary ingredients, then turning a food craving into a reality. I mean looking at my kitchen and saying – hmmmm, I have everything I need to make this yummy sweet treat at this very moment – so I will! It started with cookies, because let’s face it, a day doesn’t go by when I don’t have all the necessary ingredients for cookies on hand. It generally happens about 10pm at night in conjunction with a chocolate craving. But lately, I have had a bit of a banana problem. We eat them weekly, but the bunch doesn’t always get consumed before good old oxygen takes over and turns them brown and mushy. This baking, as you may have guessed, stems from the sick feeling in my stomach I get when perfectly good ingredients go to waste. When I know that if I just add a few eggs, flour, sugar, etc., I can turn those unwanted bananas to a warm and inviting loaf of banana bread. But, the dilemma that generally follows is the fact that I rarely have milk or buttermilk on hand. So, one day when I was searching for a recipe that didn’t require those two “moistness ingredients” I found this recipe using something else I would hate to have go to waste in my fridge – creme fraiche. I had half a container left, and it was the perfect use for it. 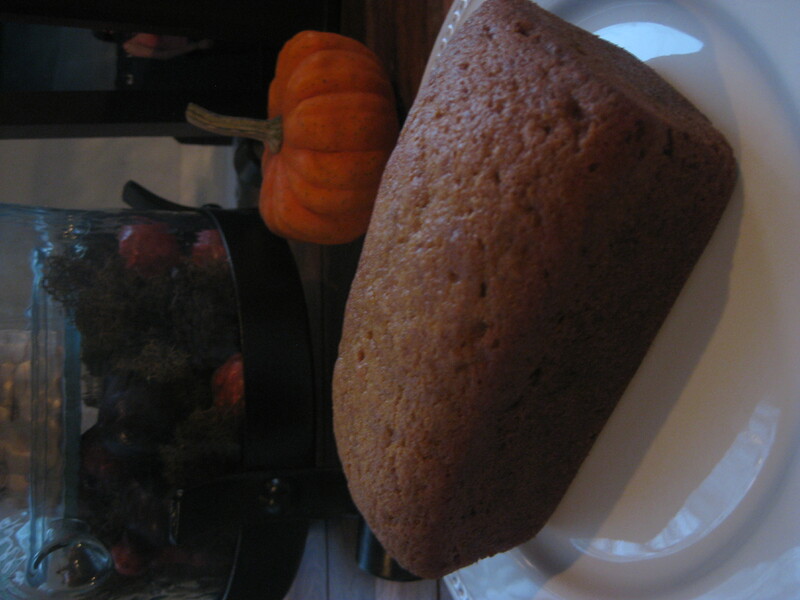 The result was an amazingly moist, flavorful and delicious banana bread. And the best part is, it would be amazing with a few cups of chocolate chips – for those late night cravings. Thanks to Gourmet for this perfect go-to recipe for when I can’t bear to see overripe bananas and creme fraiche go to waste! NOTE: The reviews on the Web site show that sour cream is a great substitute for creme fraiche. if you don’t have it on hand. So they seem to be interchangeable! Beat together eggs and sugar in bowl of electric mixer at medium-high speed until very thick and pale and mixture forms a ribbon when beater is lifted, about 10 minutes. Reduce speed to low and add oil in a slow stream, mixing, then mix in bananas, crème fraîche, and vanilla. Remove bowl from mixer and fold in flour mixture and walnuts (if using) and chocolate chips (if using) gently but thoroughly. I have always had a fear of phyllo. It is thin, breakable and who REALLY knows how to use it?! No good could come of it, and it would only set me up for failure. Although I realized this weekend, good CAN come of phyllo – baklava! My motto for cooking and baking is that the worst thing that can happen is take out, so I thought this Sunday I would attempt to make my first batch of baklava. So don’t be afraid, it can be done. Just a few tips: keep your phyllo moist with a wet paper towel while you work. Also, don’t worry if it breaks – just put it together best you can because when it bakes and is cut it really doesn’t matter. Last tip – be patient! The phyllo consists of 30 layers in this recipe and takes some time to assemble. But, the result is probably the most amazing baklava I have ever had. The orange and cardamom with pistachio and cinnamon warms you inside and out, and the sugary syrup makes you feel like a kid. I will definitely be making this again. Thanks to Bon Appetit for this recipe and the corresponding article that chronicles how Molly Wizenberg got over her “fear of phyllo.” It inspired me, so I hope it inspires you too! Simmer 1 3/4 cups sugar and orange juice in saucepan over medium heat, stirring to dissolve sugar. Boil over medium heat until reduced to 1 1/2 cups, about 8 minutes. Add cardamom. Cool syrup. Place nuts and 2 tablespoons sugar in processor. Using on/off turns, process until most of nuts are finely ground (the largest pieces should be the size of small peas). Mix nuts, 6 tablespoons sugar, and cinnamon in medium bowl. Preheat oven to 350°F. Brush 13x9x2-inch glass baking dish with some of melted butter. Place 1 phyllo sheet on bottom of dish. Brush lightly with melted butter. Repeat 9 more times with phyllo and melted butter. Sprinkle half of pistachio mixture (about 1 1/2 cups) evenly over phyllo. Place 1 phyllo sheet over nuts; brush lightly with butter. Repeat 9 more times with phyllo sheets and melted butter. Sprinkle remaining pistachio mixture evenly over. Place 1 phyllo sheet atop nuts; brush with butter. Repeat 9 more times with phyllo sheets and melted butter. Using sharp knife, cut diagonally through top phyllo layer from top left corner to bottom right corner. Cut top layer of phyllo into 1-inch-wide rows parallel to both sides of first cut. Turn pan and cut rows about 2 1/4 inches wide, forming diamond pattern. Bake baklava until golden brown and crisp, 50 to 55 minutes. Drizzle syrup evenly over hot baklava. Cool in pan on rack. Recut baklava along lines all the way through layers. 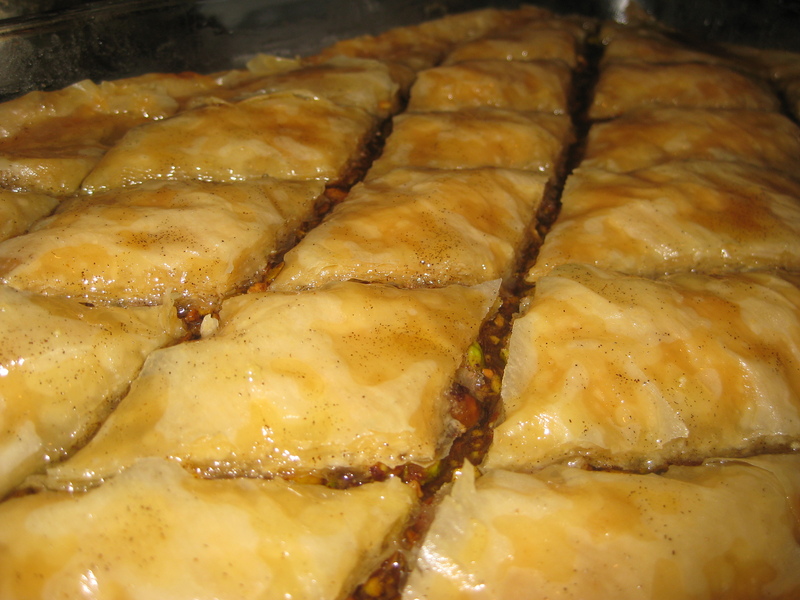 DO AHEAD Baklava can be made 2 days ahead. Store airtight at room temperature. Sift powdered sugar over, if desired. I learned early on in my baking that the best complement to chocolate is coffee. Might sound a bit strange, but there is something about coffee that brings out the true flavor of chocolate and gives everyone that “hmmm, what is in there? !” feeling. 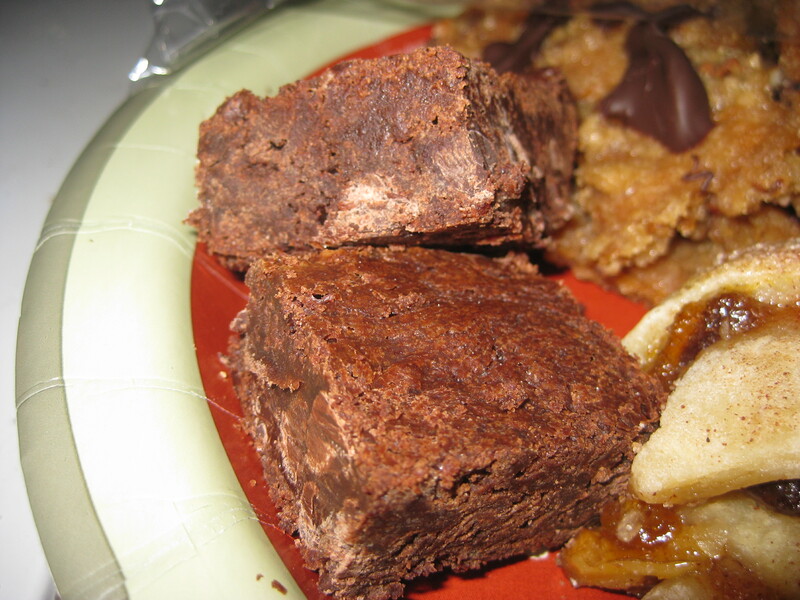 This recipe is by far my one and only go to chocolate brownie recipe. One word of advice is that since it is SO cholocately and gooey, wait until they are completely cooled and even put in the fridge for a while before cutting them or you will have quite a mess on your hands. Thanks to Ina Garten for this one! Preheat oven to 350 degrees F. Grease and flour a 9 by 13 glass baking dish. Melt together the butter, 1/2 pound chocolate chips, and unsweetened chocolate on top of a double boiler. Cool slightly. Stir together the eggs, instant coffee, vanilla and sugar. Stir in the warm chocolate mixture and cool to room temperature. Stir together 1/2 cup of the flour, baking powder and salt. Add to cooled chocolate mixture. Toss the walnuts and 1 cup of chocolate chips with 1/8 cup flour to coat. Then add to the chocolate batter. Pour into prepared pan. Bake for about 40 minutes, or until tester just comes out clean. Halfway through the baking, rap the pan against the oven shelf to allow air to escape from between the pan and the brownie dough. Do not over-bake! Cool thoroughly, refrigerate well and cut into squares. I hear people quite often say, “Do you like to cook or bake?” It seems to be commonly an if/then statement. Either someone has the personality of doing things on a whim, inserting creativity, tasting as they go, and expressing themselves in a unique way. Or, they like to follow things by the book, knowing that every time the dish will come out the same. Perhaps because my personality seems to span the two spectrums, I love to cook AND bake. They are different, sure, but they each have their own unique pleasures. But I truly believe that even though baking does have a specific formula – there IS room for creativity. Granted, you do have to make sure you have the correct egg count, put in a levening agent, etc. But, if you know the purpose of each ingredient, you can start seeing the options. Spices can be added, you can alter white vs. brown sugar, butter vs. shortening – all to get different results. The following recipe is a great baking example of following by the book but also being creative. 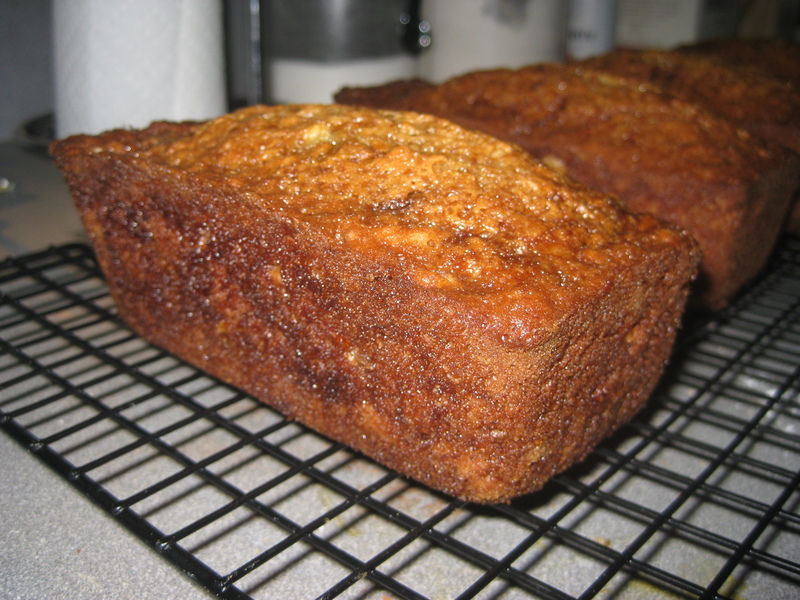 The recipe came verbatim from Bon Appetit, but if you are more into orange bread than lemon bread, you could alter it a bit – using orange zest instead of lemon zest and orange juice instead of lemon juice. This bread is great for breakfast, a snack, dessert and also makes a beautiful and delicious gift. The glaze is the best part, so make a point to take the extra step of making it, as well as puncturing the bread with a toothpick to let the glaze permeate into the bread. It forms a sweet and tart glaze that truly makes the bread unique. Preheat oven to 350F. Lightly butter/spray a standard size loaf pan. Whisk flour, baking powder and salt in medium bowl to blend. Using an electric mixer, beat one cup sugar and butter in a large bowl until light and fluffy. Beat in eggs one at a time. Mix in lemon peel. Beat in dry ingredients alternately with milk in 3 additions each. Transfer batter to prepared pan. Bake until tester inserted into center of bread comes out clear, about one hour. Meanwhile, combine remaining 1/2 cup sugar and lemon juice in heavy small saucepan and stir over low heat until sugar dissolves. Transfer bread in pan to rack. Pierce top of bread all over with a wooden skewer. Gradually spoon lemon glaze over hot bread, adding more as glaze is absorbed. Cool lemon bread completely in pan on rack.